Sister Bees began like most dreams do, just a conversation between friends over coffee. In 2014, we had done some research on the benefits of beeswax, and were amazed at all it’s healing properties to the skin. Being hobby beekeepers, we organically began creating and dreaming of products for our family and others. Practice makes perfection! After many late nights after the kids were tucked away, the products grew to become fantastic. 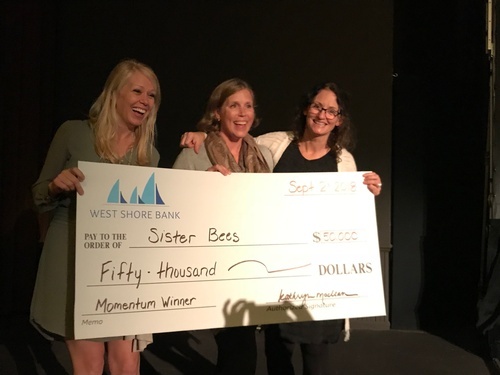 Slowly we started telling friends, family, and even a few local retail stores about Sister Bees amazing lip balm. It was a hit. Simple ingredients, all natural, we even harvested our own beeswax! Soon after, our 2 oz tins were birthed; Bee Butter, Worker Bee, Bee’s Beard Balm, and Paw Putty. Once again, crafting something that we loved for our own family, became something others loved as well. In the spring of 2017, Kim and Amber began seeing that the market was growing and another Sister Bee was added to the “Hive”, Kelly. 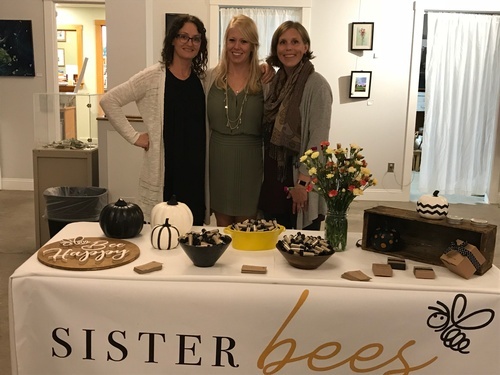 You can now find Sister Bees in retail stores all over Michigan and beyond, at many fine craft shows, online at sisterbees.com, and much more to come in 2018.